Located eight miles south of Galway on the Limerick Road, The Oyster Inn attracts visitors from all around the world. Boasting a star-studded international clientele, names from the visitors’ book include Princess Anne and Princess Margaret, comedian Billy Connolly, Hollywood stars John Travolta, Roger Moore, Michael Caine and musicians Elton John and Joan Baez. Steeped in local history, Paddy Burkes is named after the man who first introduced and sold oysters in the area. Paddy Burkes also hosted the first Clarinbridge Oyster Festival in 1954, with oysters, music, drink and craic galore. Paddy Burkes Oyster Inn has successfully retained its old world charm with stone walls and timber fittings and furniture. 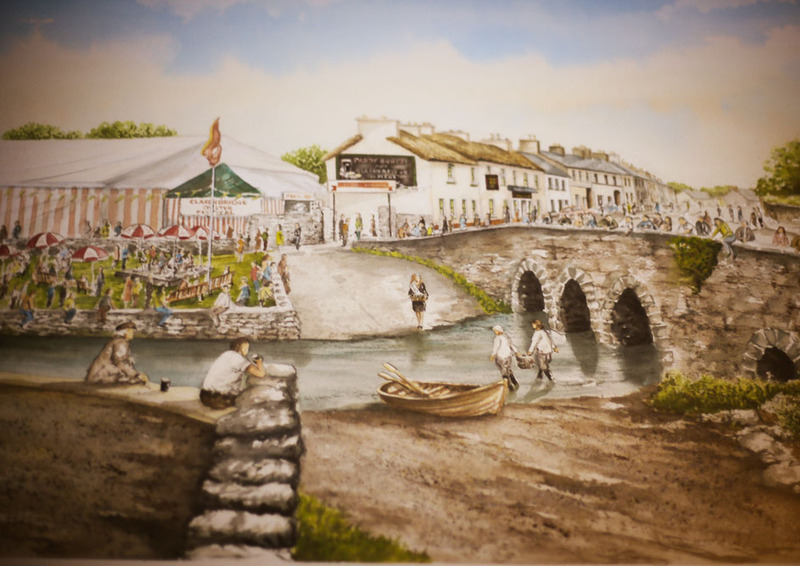 Today the inn caters for up to 150 diners, and hosts the Clarinbridge Festival annually in September.